Silver Slimming is a weight loss product which is manufactured by the UK “Silver Wellbeing Company” with UK consumers in mind. The Silver Slimming Pill was first launched in 2002 and since then it has become one of the most popular diet pills in the UK. Silver Slimming is one of the most recognized brands for slimming products, has gained consumers’ trust and can be found almost everywhere in chemists and major department stores. 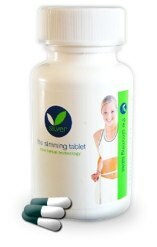 If you are new to the use of non-prescription diet pills, Silver Slimming Tablets will be the ideal slimming product to start, especially if you are mildly overweight and you just want to lower your BMI (Body Mass Index). However, if you have more weight to lose, you’d better find a more powerful alternative. Silver Slimming is an appetite suppressant whose main ingredient, Potassium Hydroxycitrate, is extracted from a kind of exotic fruit, Garcinia cambogia, which is indigenous in India. Also, Chromium, one of its other ingredients, suppresses appetite for sweets because it stabilizes the level of sugar in the blood. As far as its fat burning properties are concerned, Silver Slimming contains caffeine, which comes from guarana, but we cannot be sure about the amount the product contains or how effective it is. 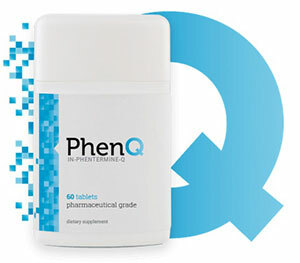 Since Silver Slimming tablets contain natural ingredients, they are not likely to cause any serious side effects. However, because the tablets are high in caffeine they may cause headaches, nervousness or affect your sleep if taken after 5pm. Chromium: This ingredient stabilizes sugar levels in the blood, so it helps you reduce your appetite for snacks and sweets. Guarana: A natural stimulant to increase the metabolic rate. Saw Palmetto Berry: A diuretic substance. Yohimbe Tree Bark Extract: A powerful antioxidant. Are Silver Slimming Tablets Effective? Being advertised as both a fat burner and an appetite suppressant, one could easily think that Silver Slim is a really powerful product for weight reduction. This does not seem to be the case though. Silver Slim has proved to work quite well as a mild appetite suppressant, but its fat burning properties do not seem to be very effective. It would be good to know that slimming pills which are classed as“fat burners” do not actually burn fat. They contain stimulants which increase the mobility and the metabolic rate of the body through the Thermogenesis process, which results in weight loss.